Lets face it, when you have had some sort of building work in your home, it looks horrendous. Filth is all over the place, paint leftover is stuck on window frames, light switches and baseboards, stains show on your floor. It’s impossible to get rid of this in a short period of time. But if you hire our company, we will get the job done in a few hours. No hassle or stress. Our after builders cleaning service in Bankside SE1 does create fascinating results. We are pleased to help customers breathe new life into their properties. We work every day, so if you need a service, just pick up the phone and schedule. When renovation is over, dust and filth are everywhere. It’s hard to get rid of the mess. But if you use our service, you can wave goodbye to all the nastiness without putting any effort at all. We will have you covered. 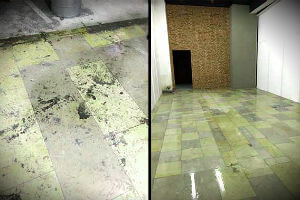 We will remove filth that you didn’t even know about, we will clean far-reaching areas, deal with all stains, get rid of cement plaster, tackle all the mess, clean paint leftover and sanitise every single inch of your residence. The results will be astonishing. Your property will be shiny. This will be the final touch to your refurbishment. We are enthusiastic about coming to your home to do the cleaning. If you are interested in our service, we will be happy to help. Get a free estimate via our call centre right away. 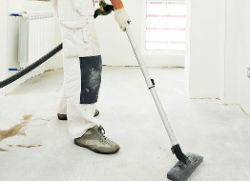 Our goal has always been offering competitive rates on our after builders cleaning service in Bankside SE1. We maintain an average price that can be easily afforded. Plus, we have many offers and discounts. Get in touch with us to see how much you are to pay depending on your home’s condition.